Pink Floyd are streaming rare 1971 footage of studio sessions featuring the band working on the epic track, “Echoes”, in sync with the March 24 release of a series of individual volumes from “The Early Years 1965-1972” box set. 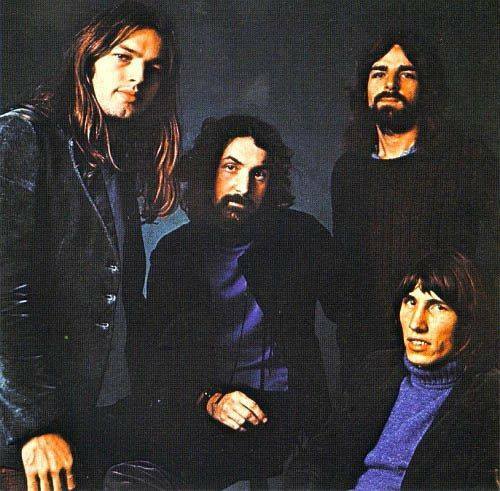 Video of the work-in-progress – which appeared on Pink Floyd’s sixth album, “Meddle” – can be seen as part of a documentary, “24 hours - Bootleg Records.” The 1971 UK broadcast features an interview with band manager Steve O’Rourke on the subject of bootlegs and includes footage of the group hearing one of their own for the very first time. The video appears on the DVD/Blu-ray “1971 Reverber/ation”, one of six volumes issued separately this month after appearing on last November’s release of the box set. The 27-disc package features 130 tracks from the band’s formative years, including TV recordings, BBC Sessions, outtakes, demos and more than 20 unreleased songs alongside 7 hours of previously unreleased live audio and more than 5 hours of rare concert footage. In addition to the six volumes spotlighting Pink Floyd’s work by year, a 2-CD highlights album, “The Early Years – Cre/ation”, is also available.